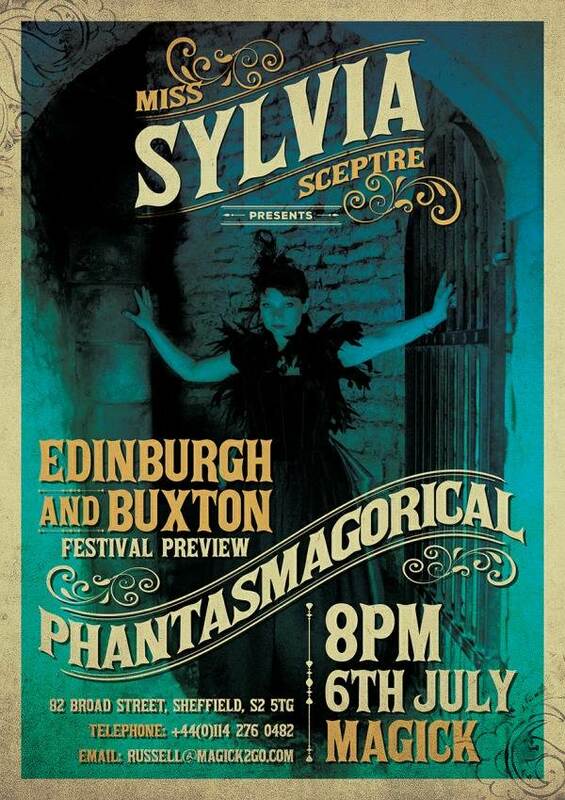 Later this year at the Buxton (9, 10, 11 and 19 July) and Edinburgh Festivals, the merrily macabre Sylvia Sceptre will be presenting Phantasmagorical, a show of spooky mindreading and Victorian Spirit Theatre. 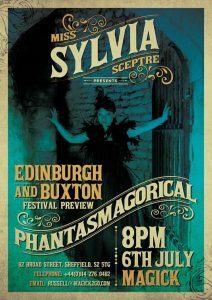 We are delighted to say that she will be previewing her show exclusively at Sheffield’s Magick Lounge on Friday 6 July at 8 pm. This is as close as you will get to experiencing the thrills of the Golden Age of Spiritualism. You will witness a supernatural spectacle of stories and magic, swirling with dark whimsy. Sylvia Sceptre is a character devised by Careena Fenton. She blends storytelling, drama and magic ensuring this powerful piece of theatre resonates in the minds of the audience long after the performance is over. Doors open at 7:30. The show will last approximatly 60 minutes. Admission free to all lovers of fine magick!